Maybelline Vivids Lipstick in "Electric Orange" || OPI Nail Polish in "Russian Navy"
Sometimes fall just calls for a faux fur vest and some good ol' booties. I actually don't wear my fur vests as much as I should - you can really get a lot of wear out of them since they look great with jeans, dresses, skirts etc... I should start wearing mine with long sleeve dresses and tights. I think that would be so cute! 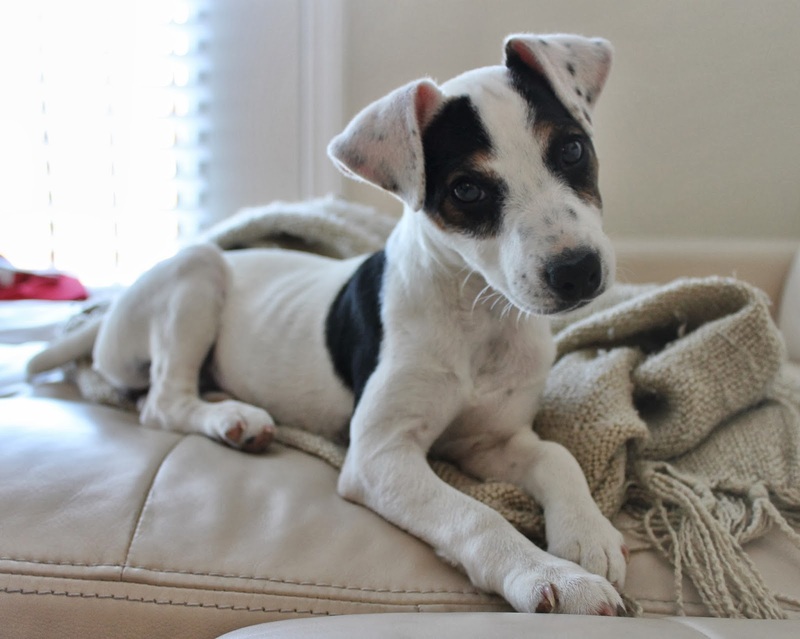 She is a 14 week old Jack Russell Terrier. We've had her for a little over a week and we are in love with her. She is most definitely a handful and slightly exhausting... but she's so cute that we just can't help but forgive her puppy ways :) If you follow me on Instagram you already know how obsessed with this little one we are! Don't forget there's still time for this! Oh my goodness! That outfit is seriously adorable! And I'm in love with your new puppy! Congrats! You look gorgeous, and I love this entire look. Feeling inspired! Your dog, OMG she is gorgeous. I am in love with her already and she is not mine. LOL. I am a dog lover, I have 4 my myself. LOL. I've been on a look out for a few vest like yours, I love it!! You look amazing! A dog shirt?! Adorable! But your puppy... Even more adorable. Miles must date her! Oh good lord Nikki! She is soooo...cute with her matching face patches and she's all legs! Congratulations on your new baby, there's no love like dog love! Oh ya, I like the outfit too..ha! I like how you cinched the vest to give it some shape. I need to remember to do that with mine because it tends to look a bit boxy. 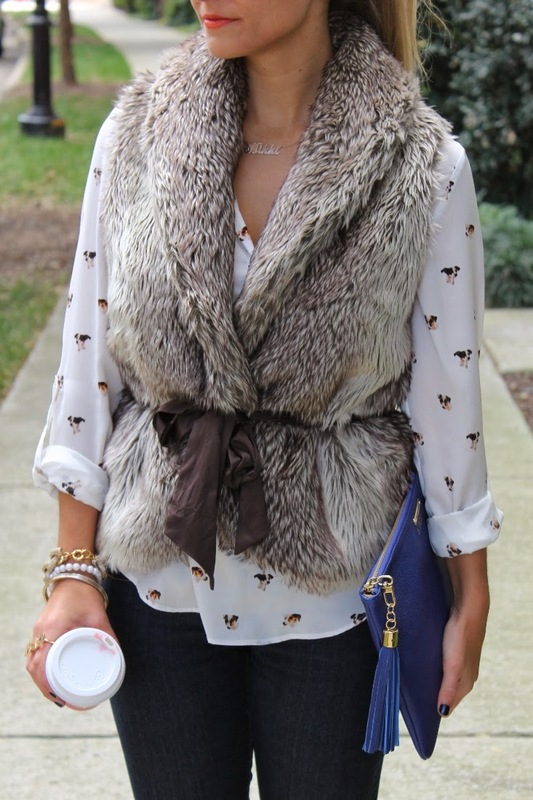 Love the fur vest! And your new pup is absolutely precious!!! Congrats on your new addition!! You are just too cute girl! Absolutely loving everything about this outfit! 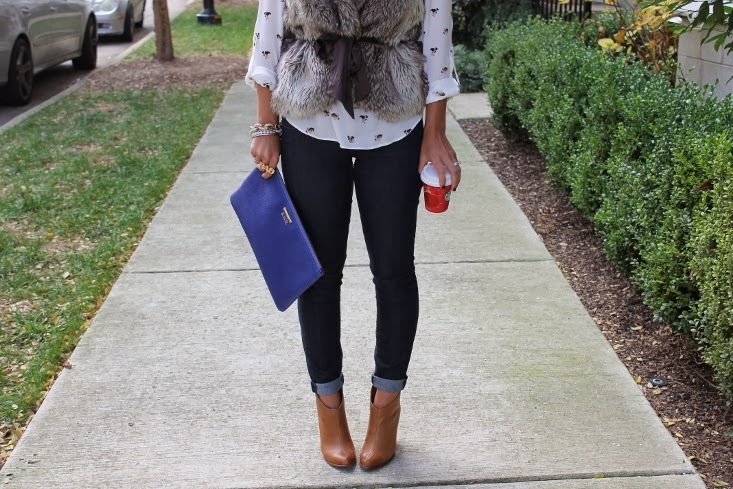 Really needing to get myself a faux fur vest ASAP! My favorite outfit <3 Love it!